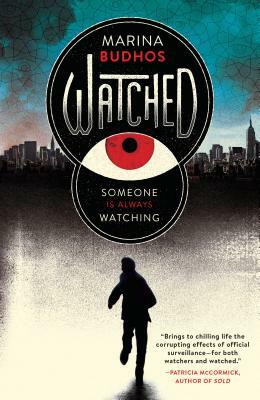 Marina Budhos's extraordinary and timely novel examines what it's like to grow up under surveillance, something many Americans experience and most Muslim Americans know. Naeem is far from the “model teen.” Moving fast in his immigrant neighborhood in Queens is the only way he can outrun the eyes of his hardworking Bangladeshi parents and their gossipy neighbors. Even worse, they're not the only ones watching. Cameras on poles. Mosques infiltrated. Everyone knows: Be careful what you say and who you say it to. Anyone might be a watcher. Naeem thinks he can charm his way through anything, until his mistakes catch up with him and the cops offer a dark deal. Naeem sees a way to be a hero -- a protector -- like the guys in his brother's comic books. Yet what is a hero? What is a traitor? And where does Naeem belong? Acclaimed author Marina Budhos delivers a riveting story that's as vivid and involving as today's headlines.